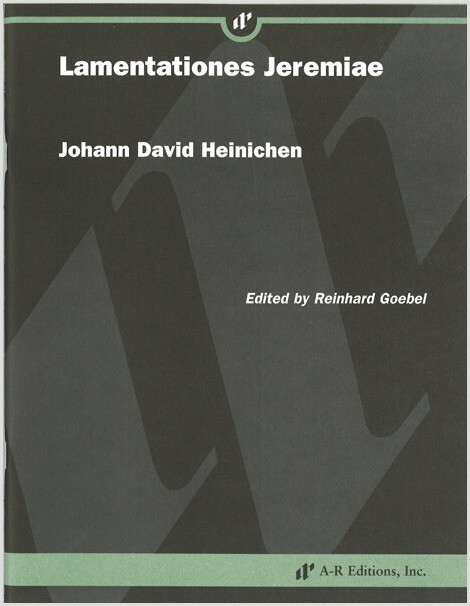 Heinichen's Lamentationes Jeremiae were performed at the court chapel in Dresden in 1724, a year after Jan Dismas Zelenka's setting was stopped mid-performance because Maria Josepha declared it to be too long. Heinichen's Lamentations represent a style that was more to the taste of the court in Dresden, with a regular alternation of recitative and aria organized around the introductory Hebrew letters in the texts. The central Lamentatio II features a bass soloist with string and continuo accompaniment, while the framing Lamentatio I and III, for tenor and alto soloists, respectively, add flutes and oboes to the orchestra.